Johnnie Lee McNeill, age 77 of 1326 Brookhollow Dr., Sanford, NC passed on Sunday, April 14, 2019 at Liberty Commons. 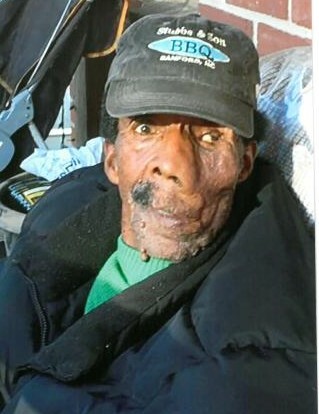 Johnnie McNeil, 77 of Sanford, NC passed away Sunday, April 14, 2019 @ Liberty Commons surrounded by family and friends. He was the fourth born on August 26, 1941 to the late Douglas and Lisher McNeil. Johnnie was a faithful member of Christian Life Family Worship Center until he became sick and wasn’t able to attend. He worked in construction and loved to garden. Sister Clara kept a smile on his face with her famous chocolate cakes. He was preceded in death by brother, Douglas McNeil Jr. and sisters, Clara Gilchrist and Annie Lou Grant. Johnnie is survived by six brothers; Paul McNeil (Onelia) of Sanford, NC, Richard McNeil (Patricia) of Albany, NY, Thurman McNeil (Helen) of Siler City, NC, Harold Brooks, Tyrone Brooks (Agnes) and Anthony Brooks (Deborah) of Sanford, NC; five sisters, Hildra Nelson of New York, NY, Phyllis Johnson, Cinder Goldston (Walter), and Robin Brooks all of Sanford, NC and Lawanda Carter (Tom) of Spring Lake, NC; one aunt, Rosie Lee Bell of Boston, Massachusetts; many nieces and nephews and adopted brother and sister in Christ, Daniel and Nancy Godfrey of Sanford, NC.